This delicious green soup was provided to Seriously Soupy by Cathy Elton of What Would Cathy Eat. A fellow-Brooklynite, Cathy created a savory green soup for Rainbow Soup Month. For additional recipes by Cathy - not to mention a place to look at gorgeous food photography, please visit www.whatwouldcathyeat.com. 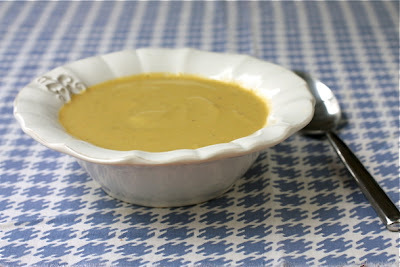 I wanted to make a creamy asparagus soup, but health issues prevent me from using cream. Nonfat Greek yogurt was a great alternative, but wanted to add another layer of flavor, so I tossed in some white beans on a whim. A brilliant idea, if I don’t say so myself! The beans make the soup more substantial, and add fiber and protein – taking this beyond your run-of-the-mill cream of asparagus soup. Be sure to use a blender rather than a food processor. You’ll get a much more velvety texture. Instead of thyme, you could use another fresh herb. I think tarragon would be particularly nice in this soup. Heat the olive oil over medium heat in a large heavy pot or dutch oven. Add the onion and garlic and sautée until the onion is translucent, about 5 minutes. Add the asparagus and cook another 5 minutes, stirring occasionally. Add the wine, broth, beans, thyme and parsley. Bring to a boil, reduce heat and simmer for 30 minutes. Puree in a blender until very smooth. Return to the pot, reheat and season with salt and pepper. Remove from the heat and whisk in the yogurt, followed by the lemon juice. MyCityCuisine.org, a Wiki project, is currently looking for contributors for its new site. The project is designed to create a free, reliable and up-to-date guide of the most original and tasty traditional foods from different countries of the world. This will help travelers discover local foods from all over the world, raise cultural awareness and preserve traditions in a world that's constantly changing. Contributors should have basic knowledge of the dish that they are writing about in order to help readers make an intelligent decision on whether they want to try it or not, but they don't necessarily want to know how the dish can be prepared. MyCityCuisine.org is not a recipe website so recipe writing is not necessary. 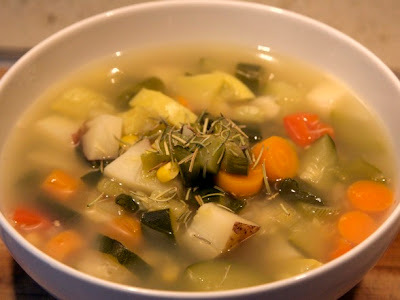 I recently had the pleasure having my Garlic Broth and Spring Vegetable Soup featured on Food 2. 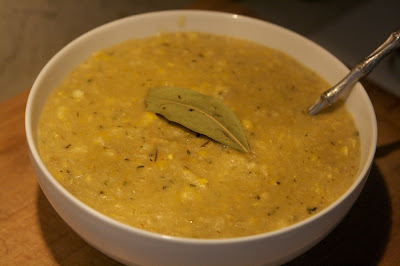 In case you missed it, check out the post and some photos of this tasty and healthy homemade soup recipe. Happy Spring! Last week I mentioned that it was Rainbow Soup Month on Soupy to celebrate the wide selection of fruits and vegetables during the spring. I started with a Roasted Red Pepper, Cucumber and Avocado soup for my red-themed soupy that was a refreshing and fun way to kick-off this colorful soup month. For this week, I made an orange soup using carrots and orange peppers. To enhance the flavors I added in some cinnamon, cloves, onions and garlic as well as some cauliflower to thicken the base (I didn't want to use cream). I also used some orange juice and ginger to enhance some of the soups natural sweetness. Next week we go further up the rainbow with a yellow soup. Until then...Enjoy! Add water or broth to a pot and bring to a slight boil. Cut up the garlic and onions and add them to the pot. Cut up the carrots, cauliflower, and orange pepper and add them to the pot, along with the cinnamon, cloves, ginger, and salt and pepper. Cover and let cook for 20-30 minutes. Add the orange juice and puree the ingredients in a blender. Top with some cinnamon. Enjoy! 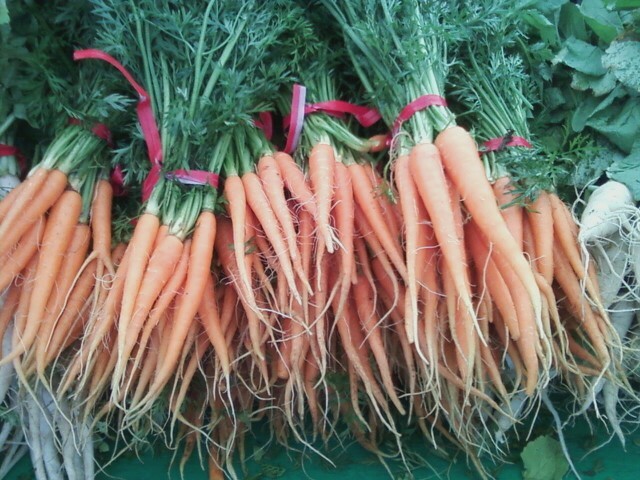 What orange soups will you be making this spring? Now that it's spring, there is an abundance of fresh fruits and vegetables available to us from the city from local farms. 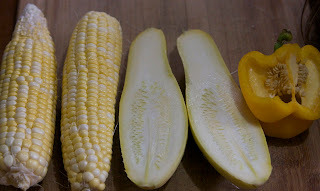 I love this for soup making where I try to use local and fresh ingredients as much as possible. One way to regularly obtain fresh fruits and veggies without breaking the bank is to join a Community Supported Agriculture (CSA). 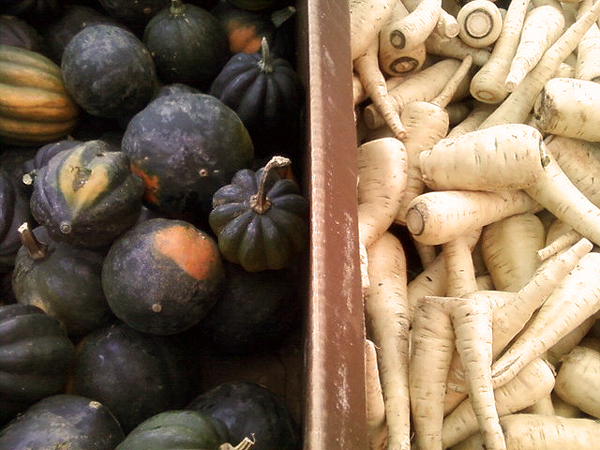 I recently had the opportunity to learn about local CSA right in Brooklyn called The Bed-Stuy Farm Share. This share, whose dues are based on household income, allows members to receive fresh and seasonal fruits, vegetables, coffee, and eggs through a weekly or bi-weekly option for 22 weeks out of the year. Avaiable in "full shares" (members pick up their shares every week) or "half shares" (members pick up their shares every other week), those who join have flexible payment options - cash, food stamps, WIC checks, credit cards or a combination payment - making it very easy to afford and enjoy local produce throughout part of the year. Starting in June, members of the CSA pick up their shares whose contributions help to provide a stable, financial base for the farm, and in particular, local farmers of color. Some local farms that are participating in the share include African Zion Organic Roots Farm, Circle Mountain Farm, Conuco Farm, and Guerilla Grown Farm (for vegetables) and Wilkow Orchards (for fruit). Each week members can look forward to receiving 6-10 different vegetables such as beets, broccoli, carrots, potatoes, squash, turnips and fruits such as plums, apples and sometimes even raspberries and blackberries. All farmers involved in the share only use organic growing methods and provide chemical- and pesticide-free vegetables as well as cage-free and hormone-free eggs. How to become a member? Members sign up and pay for a Farmshare in the early Spring. Money received is given to the farmer to purchase seeds, hire labor and start the season without taking out high interest loans. Also, the Farmshare is run completely by volunteers, in which members are required to donate four hours of their time over the course of the harvest season to help the Farm-Share keep running. 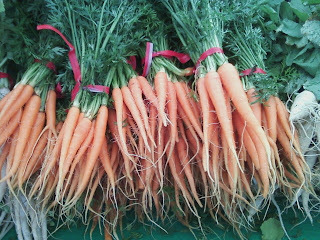 Additionally, Members of the Bed-Stuy Farm Share pick up their farm shares on Saturdays at the Bed-Stuy YMCA (Bedford & Monroe) or Wednesday evenings at a house on Quincy Street & Throop. 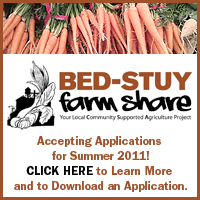 To learn more, contact (646) 389-1793 or bedstuycsa@gmail.com or visit www.bedstuyfarmshare.org to sign up online. I obviously love making my own soups and sharing my recipes, but there are those times when cooking is way too tiring or I want to try a soup recipe in a restaurant. With the abundance of choices in NYC, it can be overwhelming to decide on the best restaurant as well as to know where the best deals are. Luckily, now you don't have to go blindly into a restaurant anymore thanks to a new real-time restaurant deal website called BiteHunter. I recently had the opportunity to learn more about this interesting start-up (over vegan cupcakes, no less) who told me all about their real-time search and dine website. Founded in 2010, Bite Hunter allows users to search for deals and offers 24 hours a day - so if you are looking for a Chicken Soup for dinner or if you are craving Lentil Soup at midnight, you locate information the best restaurants that offer these soups as well as deals in real-time. How it works is also very simple, all you have to do is type in what food you are looking for (soup) and what city you are (New York) and presto: a listing of thousands of restaurants that feature soups appeared. Within each restaurant review, you will find rating from users, the address and a map, a brief write-up, a picture gallery, reviews and whether the restaurant has any deals or offers. As a new company, Bite Hunter wants to expand their market, but you can currently locate deals in New York, Chicago and San Francisco who collects their information about deals and discounts through e-newsletters, daily deals websites, Open Table, and a restaurant's Facebook Page or Twitter account. This is an incredible feature for the soup lover who can search for the best restaurants based on daily deals as well as discover new restaurants that they never heard of. I love this time of year when all of a sudden it is beautiful out and there is an abundance of colorful fruits and vegetables. For this month on Soupy, I am going to be waking up my winter palate and featuring color-themed soup recipes every week in Rainbow Soup month. For the first installation, I started with the color red by using red peppers that were roasted with olive oil, garlic, basil, salt and pepper. To enhance the flavors a bit, I also added in a light mix of avocado and cucumber and various fresh herbs. As a simple semi-warm soup for the spring, the ingredients were blended together and topped with some cucumbers. I hope you enjoy this one and join me next week when I create an orange-based soup. Enjoy! Pre-heat oven to 350 degrees. Cut up the red pepper and place it in some aluminum foil. 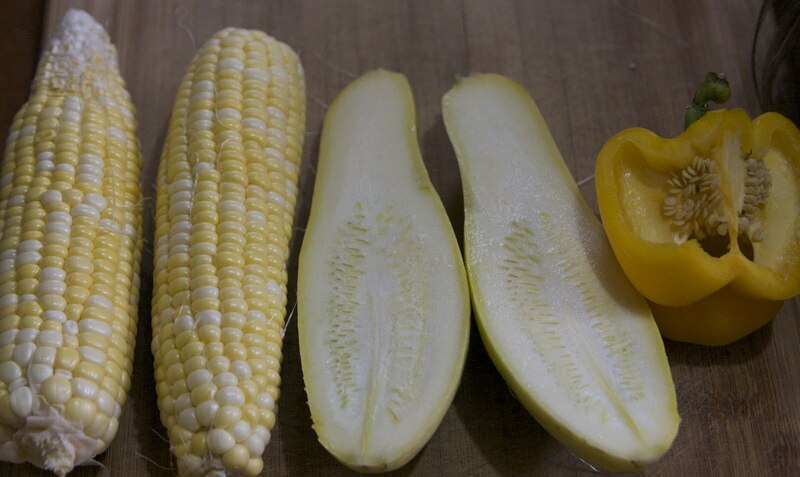 Drizzle it with some olive oil, garlic, salt and pepper. Add some basil on top and cover it with aluminum foil. While the peppers are baking (about 20 minutes), add the water to a pot and let boil. Cut up the avocados and cucumber. Mash them together with the garlic and fresh herbs (basil, thyme, and rosemary). Add them to the pot and let cook on a low flame (about 10 minutes). Turn off the oven and add the red peppers to the pot. Cook for another 5 minutes or so. Turn off the flame and mash the ingredients together using a hand blender. Top with some cucumbers and enjoy! 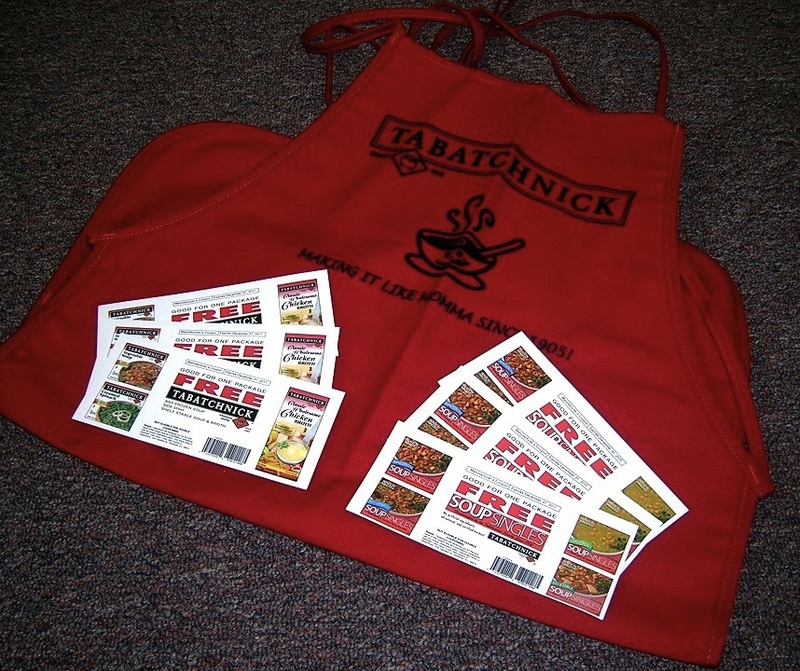 What red soups will you make this spring? I recently had the pleasure of attending a luncheon at Counter, a vegetarian bistro/organic wine bar that was sponsored by organic dairy pioneer, Stonyfield Farms. The event, hosted by Robyn O'Brien, founder of Allergy Kids, highlighted numerous horrifying facts about our food production system such as how there are chemicals and hormones placed into our food that have been shown to attribute to a host of problems such as allergies, ADHD, autism, and asthma. As consumers, the only thing we can do is to become informed, purchase organic food products (as much as possible) and to incorporate organic eating into our homes. O'Brien, author of The Unhealthy Truth: How Our Food Is Making Us Sick and What We Can Do About It , suggested some simple and realistic tips like buying in bulk, starting small, and going meatless on Monday's. She also offered a refreshing takeaway tip when embarking on a new eating plan: "It's not about perfection, but progress." Being sponsored by Stonyfield Farm, we were also given the opportunity to try the brands creamy Oikos Greek yogurt as well as receive a sample of the Stonyfield Yogurt Cookbook featuring delicious soup recipes like Arabic Cold Yogurt Soup, Minted Strawberry Chilled Soup, Salmon Chowder, a Blueberry Bisque and a recipe that I am intrigued to try: a White Summer Gazpacho. As O'Brien ended her session she stated, "eating organic doesn't happen overnight but making small changes every day will impact your health, and in turn change the overall way our food is produced." 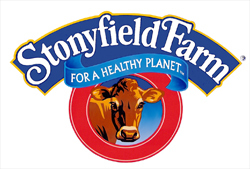 With that I hope you enjoy this delicious White Summer Gazpacho by Stonyfield. Peel and seed 8 of the 9 cucumbers; cut them in large chunks. 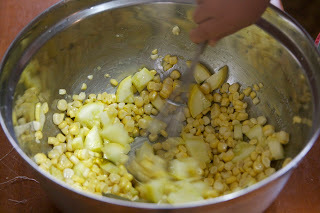 Puree the cucumber chunks in a food processor or blender, and place the puree in a large bowl. Core and seed the peppers and seed the zucchini; cut them all into small dice. Add the vegetables to the cucumber puree. Peel and seed the remaining cucumber and cut it into 1/4-inch slices. Add to the mixture. 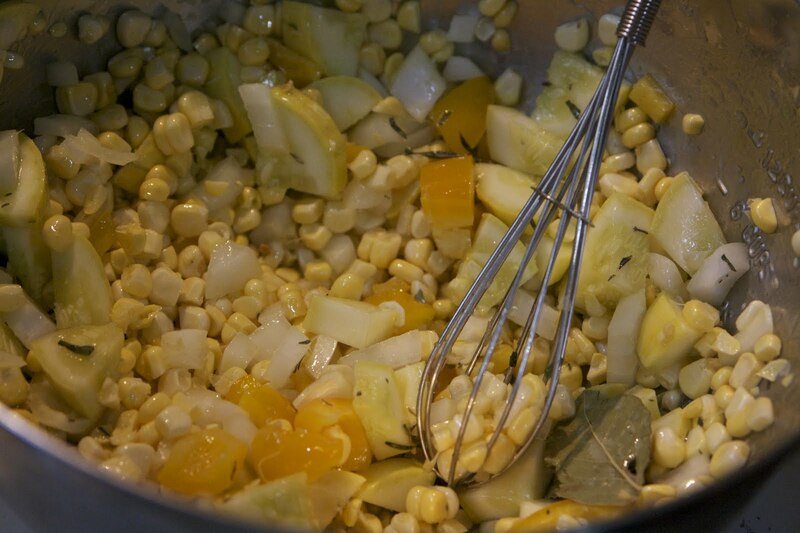 Mix the yogurt with the white wine and stir into the vegetables mixture. Season with Tabasco sauce, salt, pepper, and garlic salt. Chill several hours or overnight. Ladle the chilled gazapacho into soup bowls. Garnish each with a sprinkle of chopped parsley and chives. I received a gift bag and a complimentary luncheon for attending this event. Today is Cinco de Mayo, a holiday that celebrates Mexico's Independence in the Battle of Puebla over the French as well a day that celebrates Mexican heritage and pride. During Cinco de Mayo, Mexicans generally celebrate with music, bright costumes and delicious food. Some food that is enjoyed on this day is a Mexican soup called Menudo that is cooked for hours with tripe, hominy and chili, garlic and various spices. There are also soups like Chili Verde, stew made with green chili sauce and Posole, a soup that is made with pork or chicken and hominy in a light broth. For my Cinco de Mayo soup, I wanted to create a variation of some of these classic recipes and with my own recipe for the holiday. I decided to use pork as the base that I let cook for over 4 hours (I really wanted it to be tender) and some spices (jalapeno, chilies). I also tried to make it semi-healthy by adding in black beans, carrots, celery, corn and red peppers. As the soup/stew was cooking, the aromatic creation was delightfully filling up my kitchen with the most amazing smells and I loved tasting this soup as I went and adjusting the flavors by adding in various spices. I made the soup pretty hot, but the recipe can be easily adjusted by adding less chili powder and using half of the jalapeno. I hope you celebrate Cinco de Mayo with some new soup recipes or try some of the classics that Mexicans have been loving for years. Enjoy! Cut up the onions and garlic and add them to the pan with the oil. Let cook and get slightly brown. Add the pork and the cumin, chili powder, salt, pepper and the jalapeno and let cook for about 20 minutes, flipping the pork when needed. Add some water, about 2 cups, and cover. Check on the pork periodically but I let it cook for about 3 hours. When ready, shred the pork with a knife and add the beans, corn, carrots, celery and some more water to the pan. Cover and let cook for another hour. Squeeze some lime in the soup and taste. Enjoy! What soup recipes are you making on Cinco de Mayo? My family and I recently started planting some herbs on our porch/urban garden since it is finally warm outside. I was thrilled to have a more economical way to use fresh ingredients in my soups as well as the opportunity to test them out this weekend in this Pesto Cauliflower and Carrot Soup. I added in some fresh lemon thyme, rosemary, and sage as well as some samples of Garlic Gold that I had, minced garlic, onions and a small amount of salt and pepper. I also added in some pesto (pre-made) that we had around the house to create a peppery and distinct flavor to this minimal but super tasty spring soup. Note: In general, I would use this homemade pesto recipe. Pour water into a medium-sized pot and let boil on a low flame. 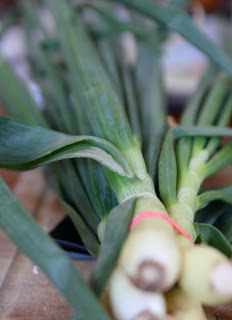 Cut up the onions and garlic and add them to the pot, along with the fresh herbs and Garlic Gold. Let boil. Cut up the cauliflower and carrots and add them to the pot. Cover and let cook for 20 minutes. Add the pesto, salt and pepper and stir. Turn off the flame and blend the ingredients together with a hand blender until you reach desired consistency. Taste and enjoy! What ways have you enjoyed cauliflower in a soup?